Giving the decorators of Norwich even more choice, the branch to the North of the city compliments the older branch in the South NR4 postcode perfectly. Stocking all the decorating brands you know and love including Albany, Crown, Dulux, Johnstone’s, Farrow & Ball, Mylands, Zinsser and more. Plus, with 5 tinting machines, we’re confident we’re able to service your every colour need! 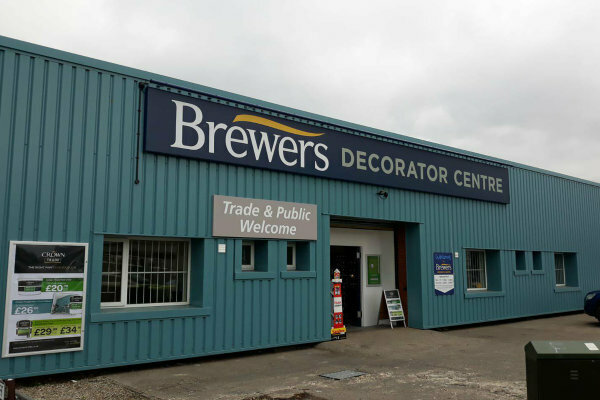 We naturally stock the usual decorating accessories and have a large selection of wallpaper books to browse including a dedicated terminal where customers can view paints and wallpapers. 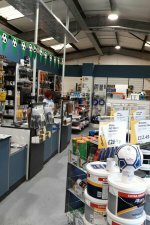 For those wishing to purchase spray equipment or learn more about spray application, our branch offers a great range of machines and accessories. In fact, we have all the decorating materials to satisfy the needs of tradespeople and homeowners wanting to transform their homes. We look forward to welcoming you into our branch soon! Travelling north around the outskirts of Norwich city centre on the A147, turn left on to Heigham Street. Take the fourth right hand turn off of Heigham Street onto Barker Street. You’ll find us on the left hand side after Paddock Street turning and opposite Greggs.